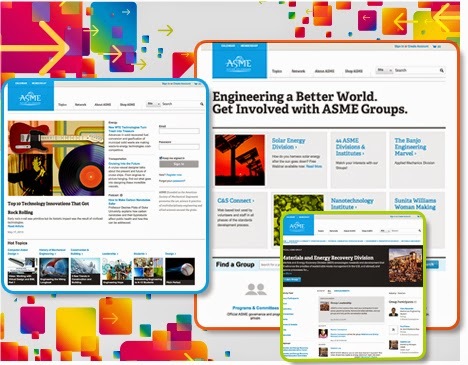 ASME, the American Society of Mechanical Engineers, has gone social. The society has added a whole new array of social media networking features to its website which will allow engineers to meet up, exchange information, and even work together with colleagues all over the world. The new functions are for members and non-members as well. Anyone interested in registering can do so at the American Society of Mechanical Engineers website. Users are invited to create professional profiles and the site even has a dashboard for sharing. Signing up is fast and easy and information can even be imported from an already existing LinkedIn account. With more than 250 groups already in place, topics ranging from design engineering to women’s interests are just a few of the features now presented by the society. Already the site is popular with more than 32,000 engineers having registered on the new platform. New groups are popping up fast. Besides the profile and dashboard features, ASME groups allow for professionals to sign up for as many groups as they like. They can even create their own group. A group directory allows for users to search for potential contacts, commenting allows users to share their thoughts and ideas. The American Society of Mechanical Engineers was established back in 1880 and is a non-profit organization dedicated to helping its members advance their careers. The ASME publishes codes and standards as well as other industry publications. It sponsors conferences and continuing education as well as professional development. For more information on mechanical engineering, careers, industry outlooks, and publications, please visit the American Society of Mechanical Engineers at ASME.org.